For some reason my RSS feed from UMPCPortal is not working any more and as result I missed this wonderful review shot and written by Steve "Chippy"
This is the first time I've used XP on a Stealey CPU for any length of time and I have to say that, in combination with the GMA950 it's a great performer. Not as fast as my Q1P but faster than the 1.2Ghz WiBrain I'm also testing at the moment. In terms of video playback performance I was incredibly impressed...and then I noticed that the device was in 600Mhz battery saving mode. When I switched it into full-power mode, increasing the cpu speed by 30%, it was really impressive and handled about every video I threw at it. Right up to a 7Mbps WMV HD video. Even games were running well. Call of Duty (see video) a demo installed on the test device, worked impressively smoothly. Take a look at the videos below which were done with the device locked at 600Mhz. OQO would never disclose future product information in other than broad terms, but I can disclose that statements in the video are not true about when certain features will ship (if ever). I know that many users were asking for this feature to be added to the OQO 02 but that's not something that will happen... at least soon. 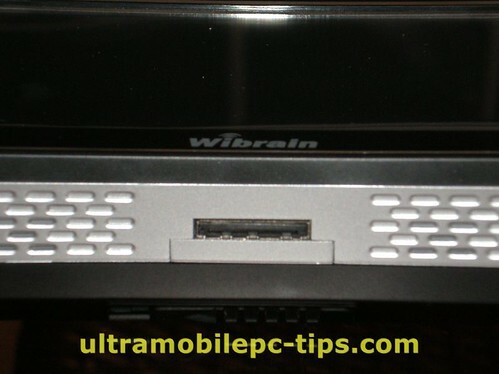 I have been a little busy lately without much time to finish my review of the Wibrain B1H UMPC. So, while you are waiting for me here is a review that I would recommend. I think the WiBrain meets the intended use of a companion handheld computer. 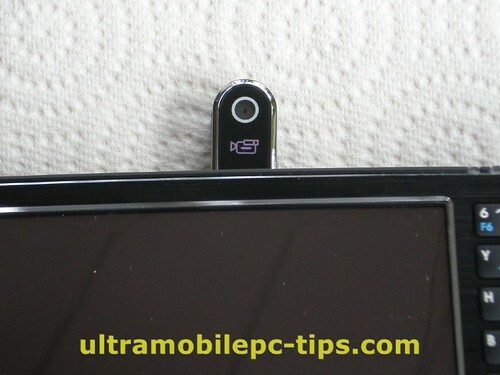 I'd recommend the device to anyone on a budget who can deal with the high resolution on the small screen and is looking for a portable device mainly for visual Internet usage. 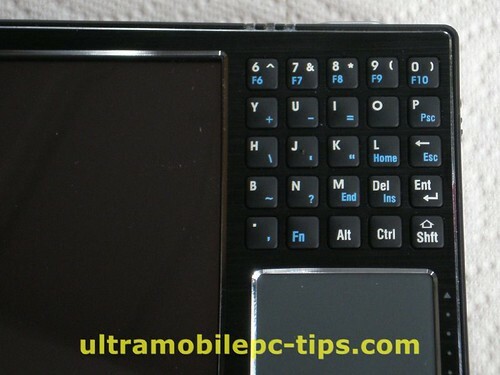 As mentioned, you can use the device for full desktop apps, but you'll see a hit in the battery life and you'll need an external keyboard for serious text entry. The touchscreen won't help you much here because the device isn't running the Tablet Edition of XP and based on the high res, I'm not sure it would be a positive experience in the end even if you were running it. Audio quality is lacking and the the web-cam not working with Skype takes away one of my primary functions, but if you don't use Skype or other apps that use a web-cam, this should be a non issue. I completely agree with Kevin, a device with a touch screen and Windows Home edition uses 25% of the capabilities of that touch screen. 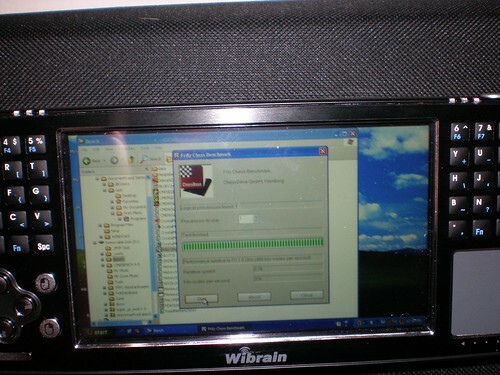 Why Wibrain and other install Windows XP Home Edition instead of Tablet PC 2005 Edition? My guess is that they do that to have a more appealing price. But that's a mistake. A huge mistake. 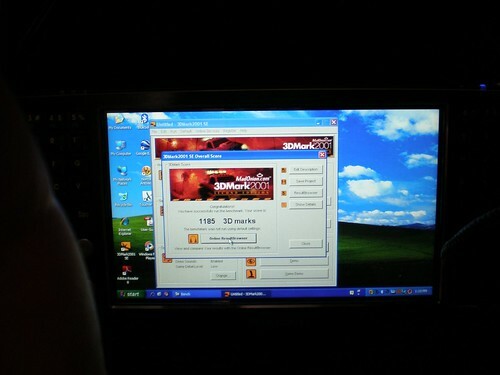 The OS for this machine is XP Tablet PC Edition without any doubt. 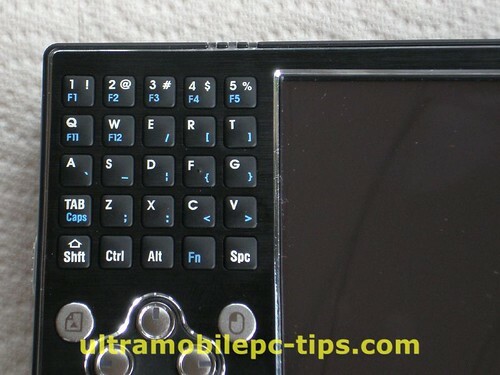 Of course would be better if we could run Vista "properly" in all UMPCs but in the Wibrain, you better stay with XP. I was chatting with some pro photographers at CES today and one of them busted out a OQO model 2 and showed me how he edits and uploads his photos with the device. Andrew runs Photoshop 7.0 on the OQO since it requires less resources and he only needs to adjust levels, sharpen and crop. 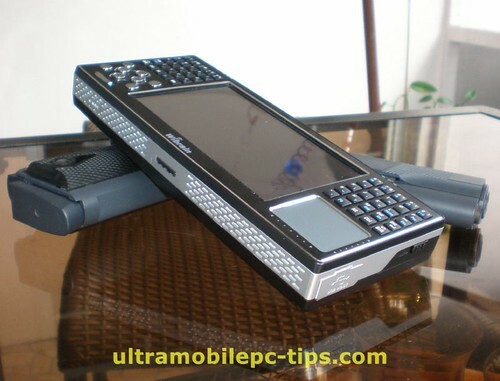 Once the images are presentable, he sends them off to his HQ over the built-in EVDO card. Very interesting, I do not use Photoshop for these tasks, I found that the image viewer tool included in Vista does all that. I just open the folder were I have all pictures that I just have taken for that specific topic, double click in the first one, that opens the Image viewer tool from Vista, that tool has a button to open the next or previous picture on that folder and there you have also a button to edit. The Edit button gives you the option to crop, change the brightness and contrast and other few things. Basically, all I need for my articles. Once I have done that, it's a matter of connecting my UMPC to my EDGE BT Phone or a WiFi network at home or at work and send them to Flicks. Once it's in Flicks, it's a matter of opening Windows Live Writer and post the news here. 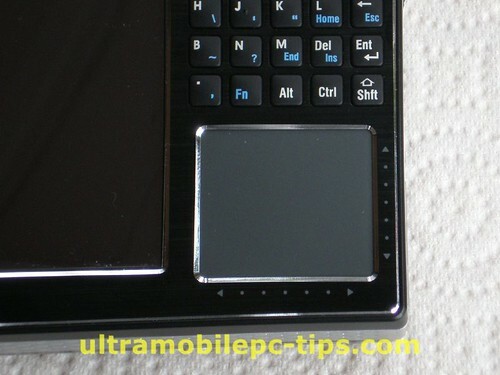 Do you know that 90% of all my posts here are posted from my Samsung Q1 UMPC? That has became my main PC since more than a year ago. By the way, the OQO 02 is also sold with Vista Installed in case you want to use my method. The Readius is essentially a cellphone with a roll out 5" e-ink display. According to Reuters, it "will go head-to-head with Apple's iPhone and Amazon's Kindle". 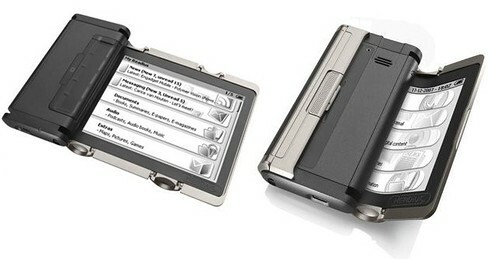 The Readius certainly has a stupid enough name to compete with the Kindle, but an iPhone rival? Apple managed to get a full scale computing experience into a box with one button. The Readius has eight buttons, and you'll need to do all the setup on a computer: email, audio books, RSS feeds and podcasts. None of this is configurable on the go. I just got my Amazon Kindle and of course, I took a lot of pictures of the "unboxing" ceremony. I wrote some comments in some of the pictures explaining what I was seeing on that moment. I like to take pictures of every machine I get to check, a lot of pictures, I think that sometimes they are more useful to people thinking about buying these devices than 1000 of words. 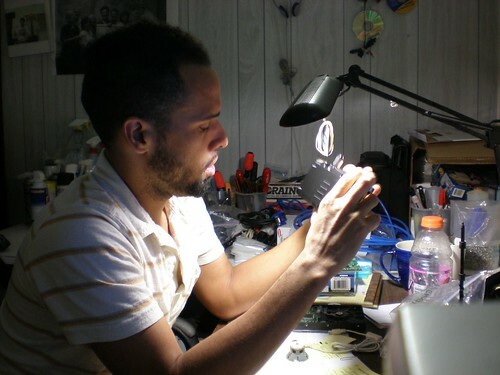 It happened to me that after posting them I receive emails with questions about things that people find in these pictures that I did not noticed having the device on front of me in my hands. 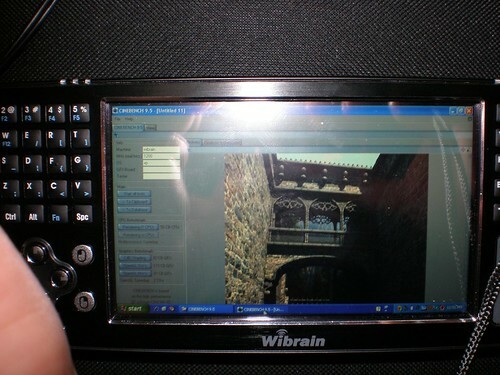 So here is the Wibrain B1 Photo Set.